The fall semester has started, but instead of mourning the end of summer break, I’m quite excited to be teaching again. I am the TA for general entomology this fall, with my advisor as the instructor. It’s offered every other year, so I’ve had to wait patiently (and TA intro biology labs) for my chance to dive in again. So far it seems like we’ve got a really motivated, enthusiastic class. 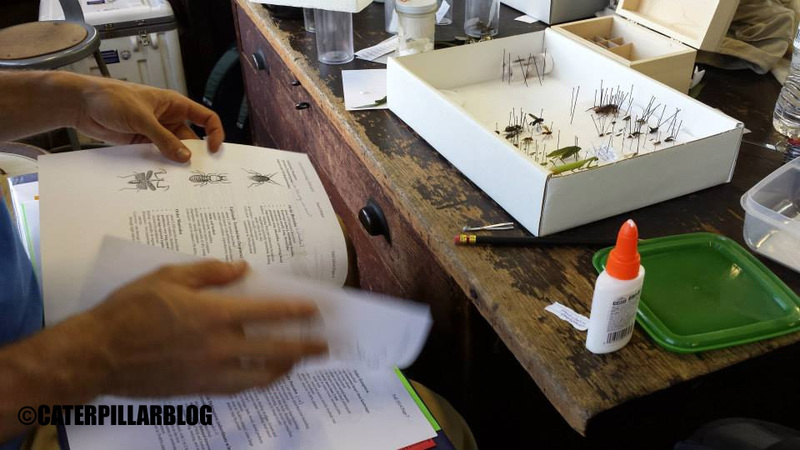 Some of them already have experience working in the entomology collection, or with volunteering/working in our lab – they’re going to keep me on my toes, for sure. 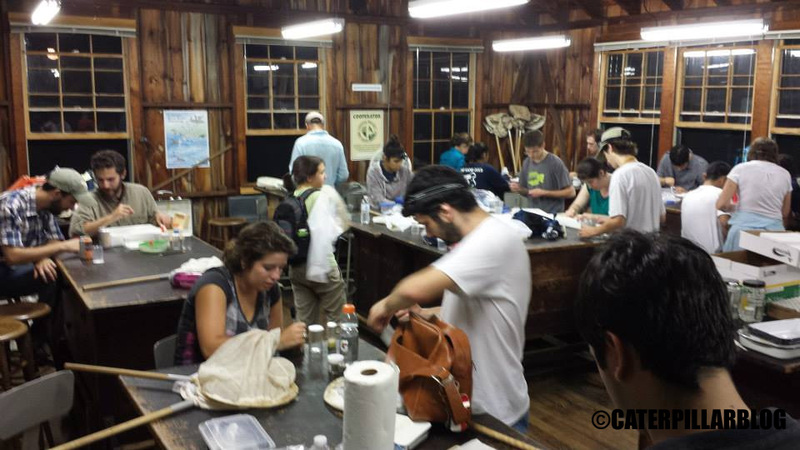 For one weekend we embarked upon our traditional field trip, along with the Yale entomology class, to the Yale Forestry Camp at Great Mountain Forest in Norfolk CT. 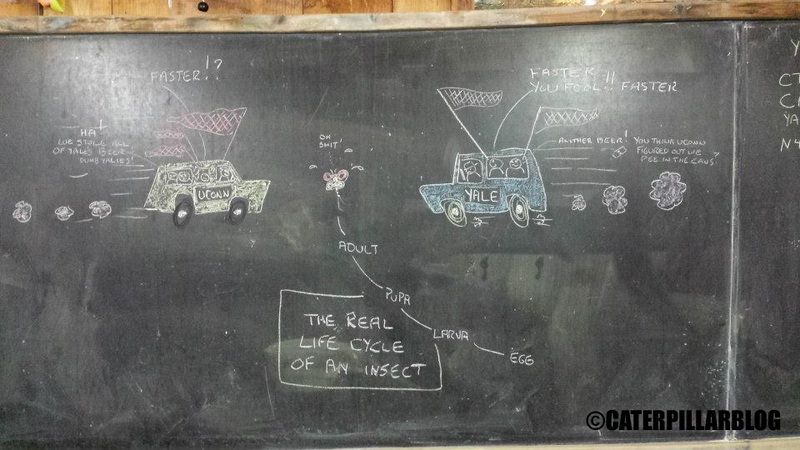 The purpose is to jump-start their insect collections, which make up the majority of their grade for the course. But it’s also a great time to learn collecting techniques, bond with classmates, meet other students/researchers, and just have fun outside. We had about 35 people at the camp, which was a large number of people to wrangle and feed, but we survived! 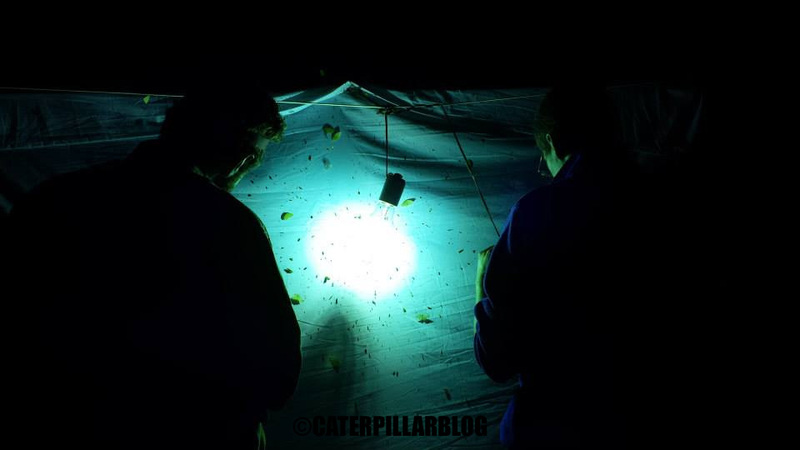 We used just about every sort of insect trap device there is. I thought I’d share some highlights from the trip. 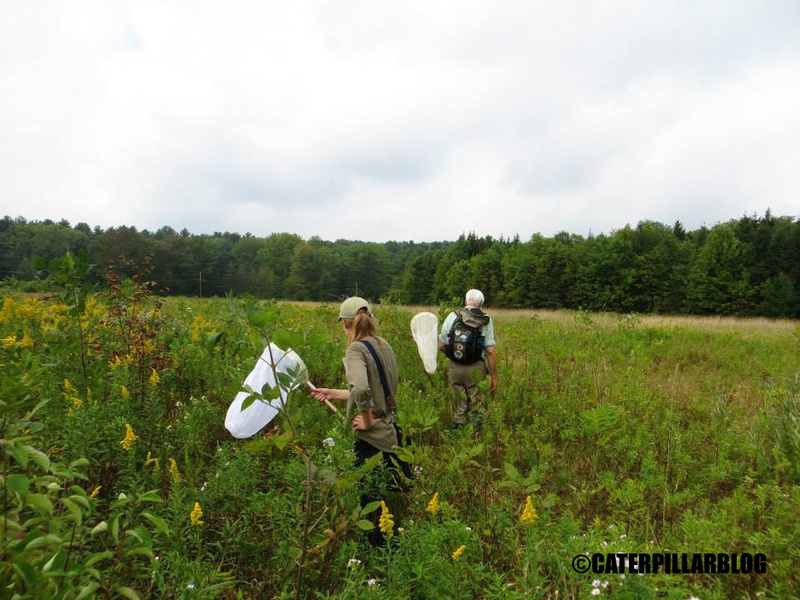 Out in the field, chasing butterflies and dragonflies (and everything else). 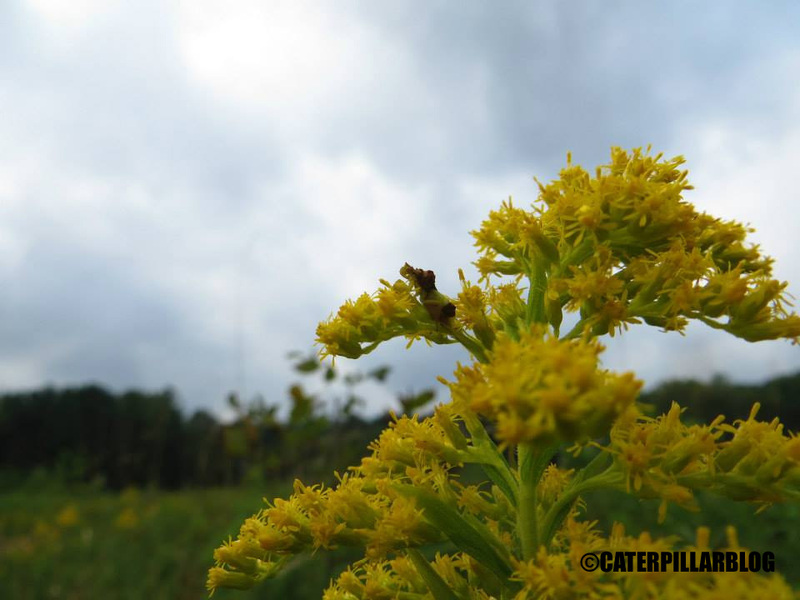 A majestic ambush bug (one of my favorite insects). Lots more working in the lab. At one of the blacklights at night. 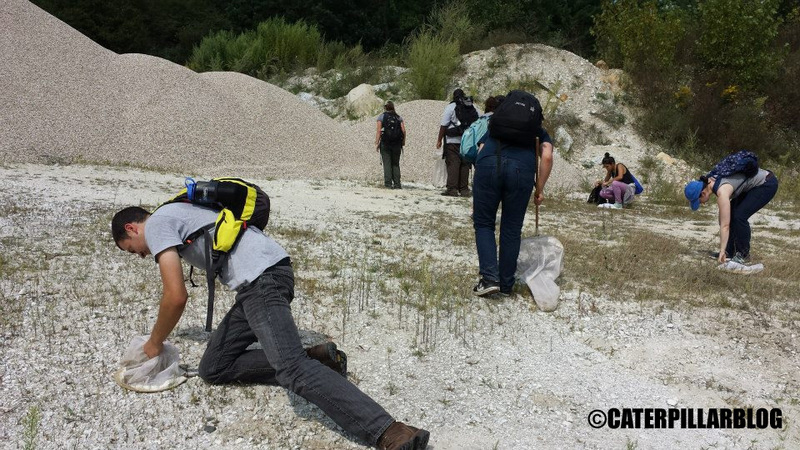 We’ve had a few mini field trips locally since then, always a lot of fun, always a lot of cool insects.